Most of us have heard of the large Garbage Patch floating in the ocean, composed of predominantly plastic, but how much do we really know about it? For instance, when I heard of a “plastic garbage patch,” I immediately visualized large pieces of plastic: bags, bottles, and so forth. Of course there are these large pieces of plastic, but in reality, most the patch is made of billions of tiny pieces of plastic, making it almost invisible unless you’re actually in it. This makes it even worse for the environment than plastic bags and bottles floating in the ocean would be! The first discovered garbage patch is in the North Pacific Gyre, stuck in swirling currents. The size is as yet undetermined because the borders of the patch are impossible to see from planes, much less satellites. It has been estimated that the garbage patch could range anywhere from 250,000 square miles, about the size of Texas, to 6 million square miles. which would mean it covers about 10 percent of the Pacific Ocean. Scary! And even scarier: a second garbage patch was recently discovered in the Atlantic. So where does all this plastic come from? People use about 200 billion pounds of plastic every year, 10 percent of which ends up in the ocean. Thirty percent of this plastic in the ocean is stuck on the surface because of ocean currents which sweep it along to the garbage patch. An interesting statistic: plastic coming from the east coast of Asia reaches the patch in about a year, plastic coming from the west coast of North America reaches the patch in about five years. The plastic littered in the ocean is broken down by the sun into ever smaller pieces, but can never be broken down entirely. This plastic becomes small enough to be ingested by ocean life who mistake it for food. Through this, plastic enters the food chain, ultimately being ingested by humans as well! This is especially dangerous because the plastic floating in the ocean absorbs floating chemicals. Many don’t realize how directly our health is impacted by litter in the ocean! The plastic in the Pacific Gyre comes mostly from four items: plastic bags, bottle caps, plastic water bottles, and styrofoam. All the more reason for us to stop our use of these items and turn to sustainable alternatives! Sure, you hear about tips on living a “greener” lifestyle, but do you actually employ them? Below are five simple ways to reduce our footprint on the earth (excluding the obvious . . . RECYCLE! ), even for the laziest penny pinchers. Taking those extra few seconds to flip off the switch when you leave a room or shut down your laptop before you close it not only saves the earth, but it also saves you some money. Plastic is the number one waste product filling our landfills and spilling into our oceans. In addition to its environmental impact, certain studies have shown that drinking out of plastic bottles can increase your risk of cancer. So save yourself some money in the long run and purchase a reusable metal water bottle that keeps your drink cooler instead of a Costco pack of plastic water bottles. As California moves towards banning the dispensing of plastic bags in stores, stay ahead of the game by switching to reusable bags for your shopping. Keep a few in the trunk of your car so that you are always prepared. Turn your water heater down. Wash full loads of laundry in cold water. Turn off the water while you brush your teeth or shave. Small changes like these not only reduce your water heating bill, but also help reduce the energy used for heating the water—second only in energy consumption to the air heating system. 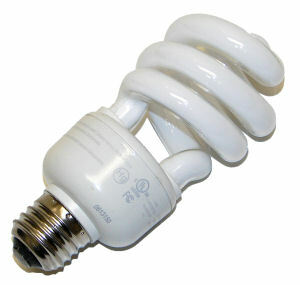 By switching to compact florescent bulbs, you generate far less pollution as well as save $30 over the lifetime of the bulb. Look for phrases like “warmer light” for a glow that resembles incandescent light. A daily car commute of 20 miles round trip can add up to around $2,000 per year. So instead utilize your area’s public transportation or start a carpool with coworkers. You will save money on gas and help reduce the pollutant emissions of cars destroying our environment. As an intern for a start-up “green” company, I have a front row seat to the process of marketing and establishing a new company. More important, however, has been the opportunity to see the struggle of a company grounded by ethics rather than profit. Sustainable Living Group, Inc. was founded with a simple mission: reduce the consumption of plastic, the number one waste product filling our landfills and spilling into our oceans. Founders Quyen Huynh and Lynn Ching believe that through our biodegradable, BPA-free, PLA-free, and latex-free products and sustainable products made from recycled PET plastic, we can work to push the green lifestyle to the mainstream. You can understand then why we, a green company driven by our own environmental ethic, find it so frustrating to see companies touting their so-called “green” initiatives in order to increase sales. An example of greenwashing is Arm & Hammer. Arm & Hammer promoted the eco-friendly aspects of their company, but failed to align the rest of their company with their green campaign, namely, their use of animal testing. Environmentalists were quick to point out their greenwashing and encouraged consumers to turn to a cruelty-free and green Bob’s Red Mill baking soda. Don’t get us wrong, any step towards environmental preservation is both helpful and admirable; however, when overemphasized for the purpose of financial gain and at the expense of companies that are truly committed to the environment, it becomes an issue. So how do you become a green-wise customer? Be informed! Find out how green a company really is. Advertising is biased, so find out for yourself through the internet how green a company really is. Learn more about greenwashing here. Francie Rehwald, a resident of Malibu, California is constructing an entirely green house out of a recycled jumbo jet! This creative endeavor, known as the “Wing House”, was the brainchild of David Hertz, an LA architect. He became interested in this project after discovering that it’d make a very green home – the jet can even be cut into pieces and recycled! This airplane, which was designed and built before the aid of computers, was only the 28th model that Boeing’s assembly line produced. The jet was built for Pan Am and later operated by Tower Air. The wings, which are now a roof over Francie Rehwald’s head, span 195 feet. Rehwald purchased the retired plane for $35,000, saving the parts from ending up in a landfill. But getting her hands on a plane wasn’t her only task – she had to receive clearance from 17 different government agencies! Five major highways had to be closed to bring the 4.5 million parts (all of which are being put to use) to Malibu to construct the house. The structure even has to be registered with the FAA, so that pilots flying by don’t mistake it for a downed aircraft. Today, in a very close vote, the California state Assembly approved an initiative to ban single-use plastic and paper bags from being handed out at stores. This measure, which would take effect in 2012, would make California the first state in the nation to ban the dispensing of single-use bags. Shoppers would be required to bring their own bags, buy paper bags made of at least 40% recycled material, or purchase reusable bags. The bill is now headed to the Senate for consideration. We at Sustainable Living Group are thrilled with this news! Although some cities in California, such as San Francisco, already have bans on plastic bags, a state-wide ban would help push the green lifestyle to the mainstream. We are one step closer to reducing the plastic overflowing our landfills. Since plastic bags have only been around for about 50 years, we have no firsthand evidence on their rate of decomposition. However, scientists hypothesize it takes anywhere from 500 to 1,000 years for a plastic bag to photodegrade(UV radiation from the sunlight causes the polyethylene’s polymer chains to become brittle). Keep your fingers crossed that the hard work of Assemblywoman Julia Brownley, D-Santa Monica, pays off!